Amazon’s Fire-TV line of streamers is expanding once again, this time with a new version of their Fire TV Stick. And at £49.99, it’s one of the cheapest 4K streamers out there. The new Amazon Fire TV 4K Stick, announced today, will support Ultra HD content (currently available from Netflix and Amazon’s own Prime Video service), as well as HDR. Additionally, the new stick will support all three major HDR formats – Dolby Vision, HDR10, and HDR10+. This time, however, the remote – which connects via Bluetooth – also includes dedicated power, volume, and mute buttons for your TV or soundbar. 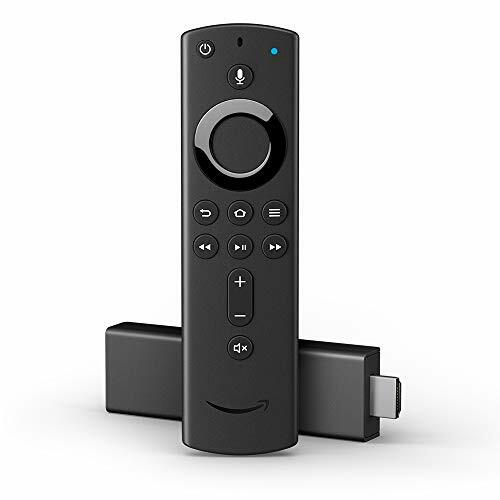 The new remote will come bundled with new 4K Stick, but can also be purchased separately – it’s compatible with the Fire TV Stick (2nd Gen), Fire TV Stick 4K and the Amazon Fire TV 3rd Gen (Pendant). As for sound, the Fire TV 4K Stick now supports Dolby Atmos, which is a new surround sound format that is not yet widely available. Additionally, the stick supports Dolby Digital Plus 7.1 and Dolby Digital (AC3) 5.1. Just like its predecessor, the new 4K Stick connects to your broadband via WiFi – if you want a wired Ethernet connection, you will need to get the Amazon Ethernet Adaptor. Otherwise, you might want to consider a WiFi range extender. The Amazon Fire TV 4K Stick is available for pre-order now, and will ship in the UK on November 14, 2018. Amazon’s announcement comes a week after NOW TV announced their own 4K Smart Streaming Box – which is a tad cheaper, at £45.